Read on to know more about this wonderful castle hotel and reasons why it should be on your bucket list this holiday season. 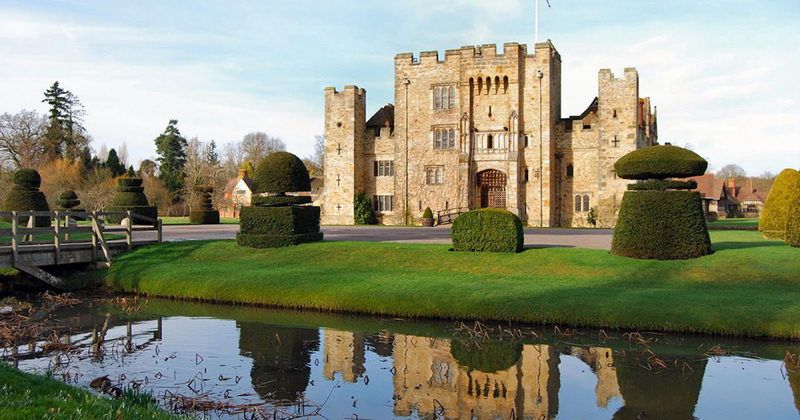 Hever Castle is a scenic and luxurious bed and breakfast accommodation located in Edenbridge, United Kingdom. Set along a stretch of 120kms of rolling green plains of the Kent countryside, this majestic double moat castle is surrounded from all sides by nature. There are two wings here, namely, Astor Wing and the Anne Boleyn Wing, consisting of 28 luxury suites, flanked by Tudor gardens, the Yew Maze and a Lake nearby. The scenic neighboring villages give you a taste of the local culture, the jousting tournaments held on the property transport the guests back to the golden medieval ages. Hever Castle estate is a wealth of history and culture. It was most recognizable as the childhood home of Anne Boleyn. 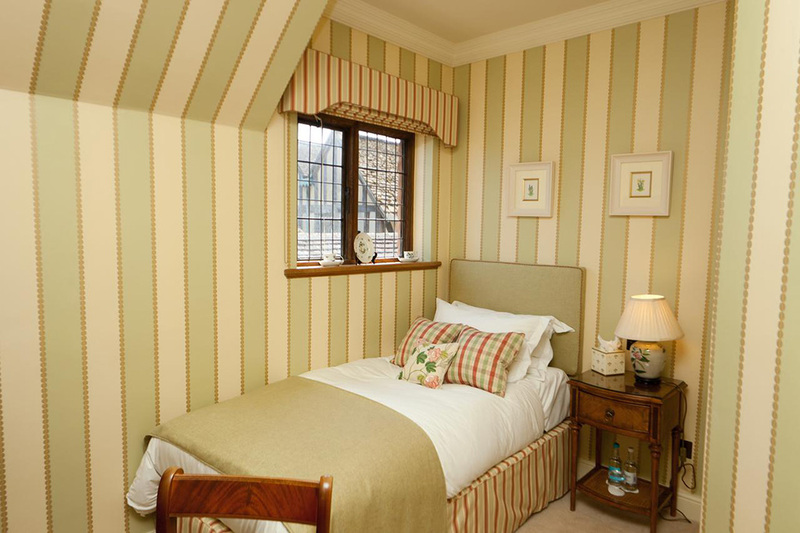 Today, we know it to be among the best Bed and Breakfasts in the UK that offers accommodations for families, couples and lone travelers alike. Here, guests are welcome for daytime visits, picnics, fests, corporate events, a weekend stay or even volunteer for work. There are numerous vacancies in the executive and event management field where you can apply. History buffs and art lovers would especially love the castle estate, with its gothic architecture, numerous galleries, and scenic gardens. 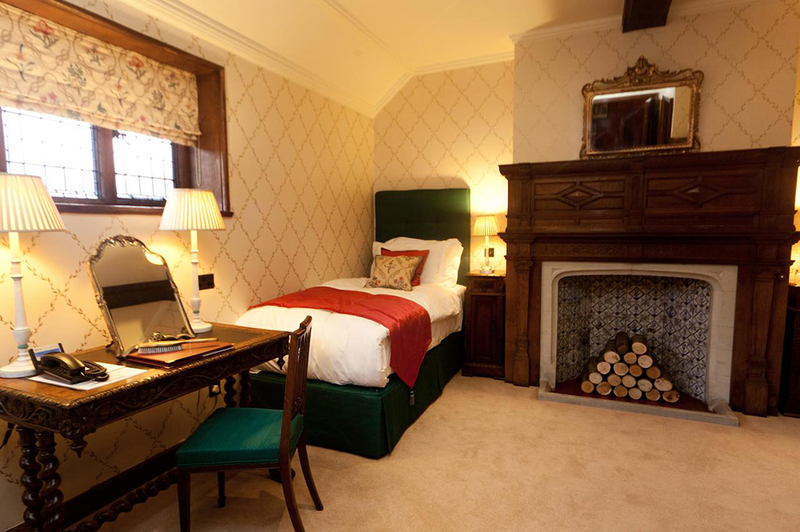 Hever Castle wasn’t always this cozy bed and breakfast accommodation you see now. Back in the day, the estate was home to Anne Boleyn, the second wife of King Henry VIII. It was built in 1270. Originally it was built to be a medieval defense castle with its double-moat architecture, gatehouse and walled baileys. Later in the 15th and 16th centuries, the house was renovated in accordance with the Tudor dwellings prevalent then. The property was then passed down numerous families before finally coming into the hands of William Waldorf Astor who invested time, effort and money in restoring the castle to its former glory. Currently, the castle belongs to the Guthrie, a Yorkshire family from Scarborough. John Guthrie, an aspiring chartered accountant, is head of Broadland Properties (founded in 1950) which purchased the castle in 1983 from the Astor family trust. Broadland Properties is committed to making the castle more environment-friendly without losing its historical integrity. 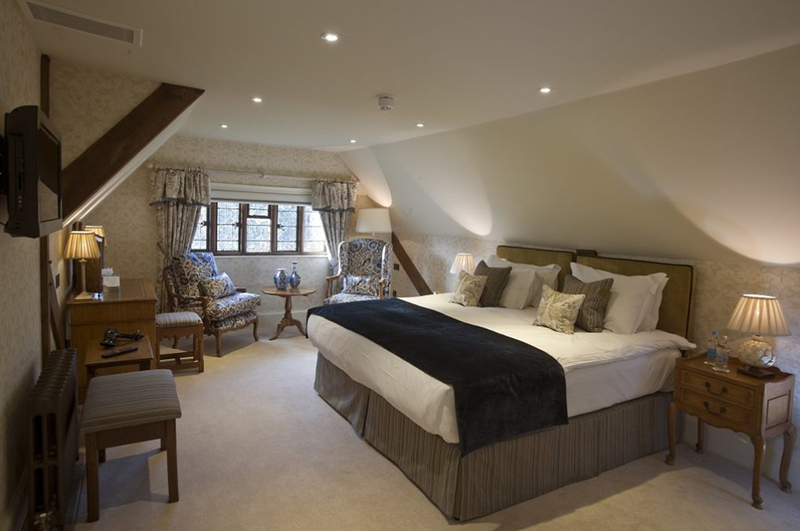 The Hever estate is now a modern, contemporary B&B lodging space that sure has come a long way from its medieval roots. The future of HeverCastle looks bright and promising, with many sustainable projects already underway to improve the water and electricity supplies of the place. The Hever castle at glance looks pretty intimidating with its double-moat design and strong brick towers. Solid, sturdy and unyielding, the castle still retains much of its medieval architecture and glory. It stands tall, surrounded by green fields and lakes, painting a pretty picture from a distance. However, a closer look reveals its warm and earthy ambiance. The castle has been around for 700 years now, witnessing numerous families, feuds, and sieges. Currently, its days are passed in the lazy leisure of entertaining guests and hosting lavish parties. The castle grounds were later renovated by the Astor family, incorporating Italian landscaping and sculpturing features in the Tudor landscape. The 38acre lake is the perfect place for long walks, while the Yew Maze is a fun playground for children to explore. Spread across 125acres, the Hever Castle estate has something for everybody. The Golf Course stretching for miles is favorite among professional golfers. The Kent High Weald is near the bustling towns and yet cut off from its hustle and bustle. 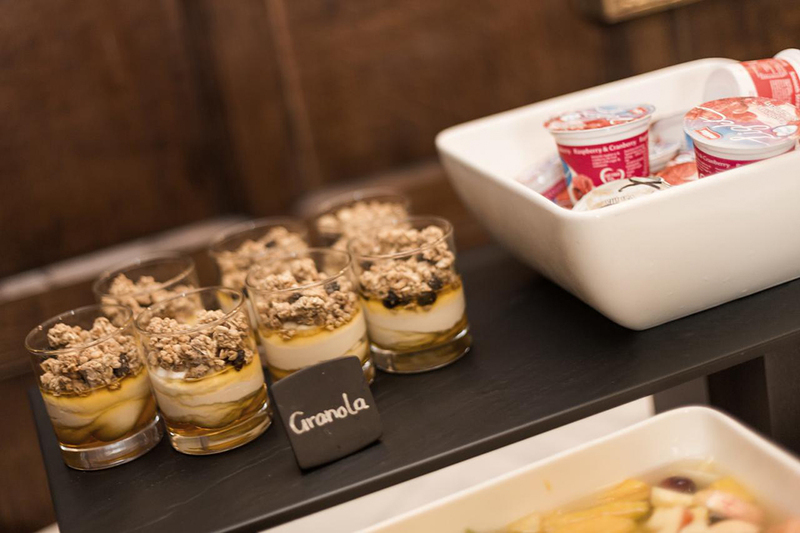 It provides the perfect backdrop for the castle, giving you a glimpse of the castle’s glorious past while offering the modern amenities like private parking and on-site pickup. 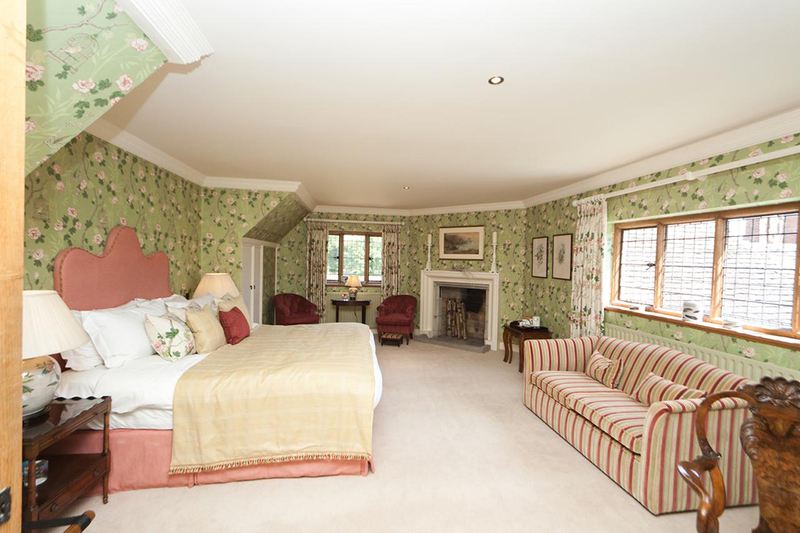 While the HeverCastle looks huge and dominating on the outside, the interiors are a different story altogether. On the inside, the castle is homely, modern and very cozy to say the least. There are two wings, the Anne Boleyn Wing and the Astor Wing, which are separated from the main castle (open to daytime visitors). Both these wings have about 28 suites in-between them, offering a collection of single rooms, double-bed rooms, VIP suites, and deluxe suites. Each suite is marked by minimalistic, elegant décor, luxurious furnishings, and pastel colors. 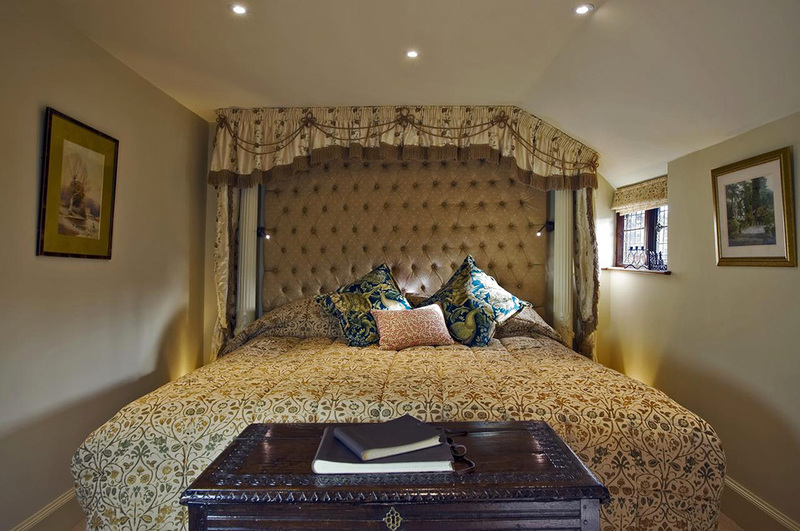 They are exclusively styled in antique themes and fabrics giving the place an extravagant look and feel. The Moat Restaurant and a pub nearby take care of the refreshments and beverages. The halls and public areas are decorated with 16th-century paintings, furniture, tapestries, and portraits. The beautifully manicured gardens and fields nearby add on to the fairy-tale like atmosphere of the castle. 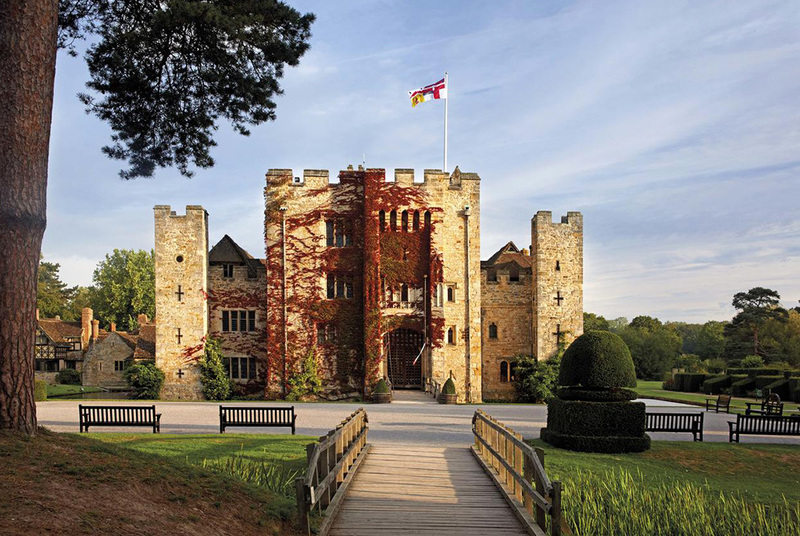 For a place as serene and scenic as the Hever Castle, it is fascinating that it’s also the hub of festivity and celebrations. There’s always something happening in or near the castle grounds, from parties to exhibitions and sometimes even jousting events and fairs. Families would especially enjoy the Yew Maze and the playground area that hosts a number of interactive activities for kids, including tours and treasure hunts. The lake stretches over 38acres, a pretty picnic spot for couples who want some alone time together. Also, the 27-hole golf course is a two-minute drive away, providing challenging and exciting games for amateurs and professional golfers. You can even spend your days exploring the nearby towns and villages, learning more about the local culture and cuisine. Chartwell and Penshurst Place are popular tourist attractions. The property also has an art gallery and regular painting exhibitions conducted yearly for art lovers. The rooms are also equipped with the latest facilities including free Wi-Fi, flat-screen TVs, direct dial-in telephones. Furthermore, the place is well-connected to the London City Airport and the London Gatwick Airport. When here, don’t miss out a trip to the Book of Hours Room where you can see Anne Boleyn’s prayer books and other belongings up close. Children of all ages are welcome here; pets are forbidden though. Also, you can get extra cribs, babysitting services and beds at additional charges. The Moat Restaurant serves lunch, while the castle is open to the public on all days. Britain has a history peppered with the monarchy, this includes daunting castles, knights, gallant battles and beautiful countryside landscapes. 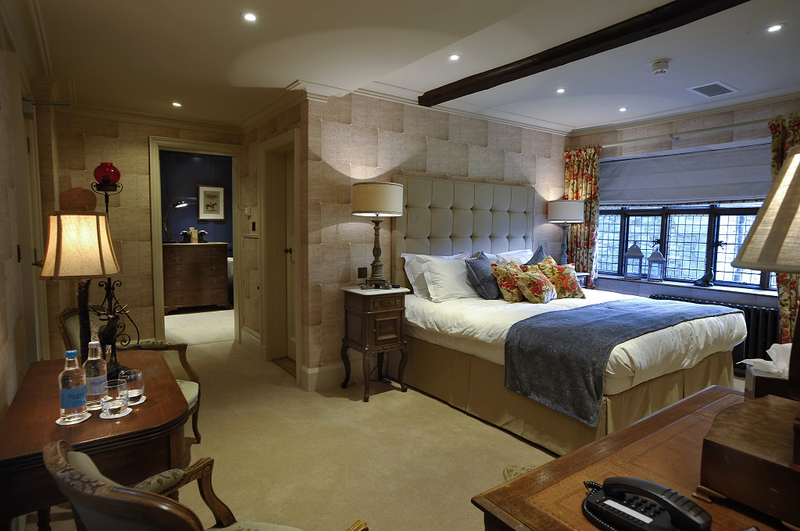 The HeverCastle recreates the medieval charm, without compromising on the modern features necessary for a luxurious stay. Here, you can enjoy a comfortable stay, enjoy all the materialistic facilities and yet reside in the lap of nature. It is not just another pretty hotel, but a complete vacationing experience for couples who want to rekindle the flames. This season chuck the sandy beaches for a day out at this bed and breakfast, we promise you won’t regret it.